7415 US-31 South, Indianapolis, IN 46227 Clay Oven offers a vast menu of chicken, lamb, goat, seafood and vegetarian dishes as well as a selection of sweets and desserts all prepared from authentic Indian recipes. So whether you have a taste for a flavourful curry or something more exotic, you'll see why our customers drive far beyond their own neighborhood to taste food the way it's served in India.Come to Clay to Clay Oven today and experience the real thing: memorable food and exceptional value. Leavened bread touched with fresh shredded garlic and herbs then baked in our clay oven. Indian cheese cooked with fresh tomatoes, sliced onion, green peppers with our special zesty sauce. Fresh slices of vegetables dipped in a garbanzo beans batter mix. deep fried and crispy. Crispy turnovers stuffed with spiced potatoes and peas. Chick peas and cubes of potatoes mixed in a fresh cilantro mint and tangy spiced yogurt topped with crisp waters. Homemade Indian cheese stuffed with special cilantro and mint chutney dipped in a garbanzo beans batter mix. deep fried and crispy. Bite size tender chicken or fish dipped in a garbanzo beans batter mix. deep fried and crispy. Vegetable pakora vegetable samosa aloo tikki. Potato patties lightly spiced with ginger sprinkle or fresh cilantro; fresh shrimp dipped in a garbanzo beans batter mix. deep fried and crispy. Two pieces of samosa served with chana masala topped with onion, tomatoes, cilantro and yogurt. Chicken tikka, vegetable pakora vegetable samosa. Jumbo shrimp marinated in herb mixture and delicately broiled in a tandoori clay oven. 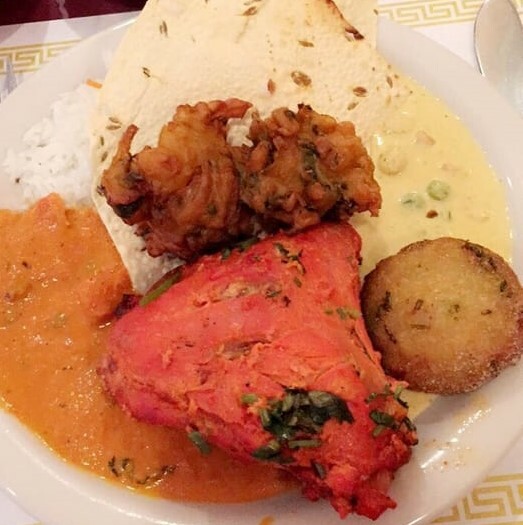 Tandoori chicken, chicken tikka, and boti kabab. Fresh slices or tomatoes, cucumber, onion, cilantro with lime and herbs. Fresh salad green leaves, tomatoes, cucumber, onion with dressing. Fresh lettuce, tomato, cucumber, onion with chopped checked or indian in special dressing. Yogurt sauce made with grated cucumber tomato sprinkle and roasted cumin seed. Hot and spicy mixed pickles. Sweetened mildly spiced mango and herbs. Thin and crispy wafer made. All tandoori items are served with sautéed vegetables, masala sauce, papad, basmati rice, and mint-chutney. Jumbo shrimp and cubes of chicken breast marinated in ginger, garlic, yogurt and herbs, then baked on a skewer in tandoori clay oven. 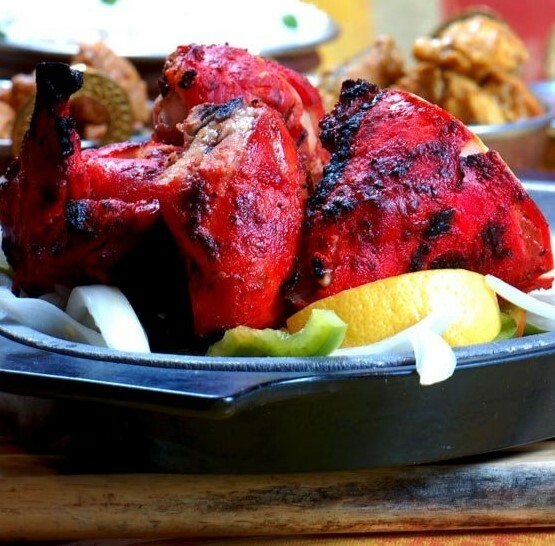 Half spring chicken marinated in yogurt and mild seasoning, roasted in tandoori clay oven. Boneless chicken cubes marinated in light cream and mild indian seasoning then broiled in clay oven. Boneless breast of chicken marinated in ginger, garlic, yogurt the baked on skewer in tandoori clay oven. Paneer tikka marinated in herb mixture and delicately broiled in our tandoori clay oven; then baked on a skewer in a tandoori clay oven. Finger roll of grinded lamb spiced with fresh ginger. Tender morsel of lamb marinated in indian seasoning and herbs then broiled to perfection. Assorted tandoori varieties from above tandoori chicken, lamb boti kabab, reshmi kabab, tandoori shrimp and fish tikka; served on bread or vegetables on a sizzling platter. Boneless fresh salmon marinated in aromatic herbs and mild indian seasoning broiled in tandoori clay oven. Chicken 65 is a spicy deep fried chicken dish. 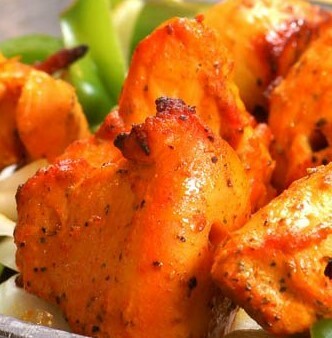 Boneless white meat chicken tikka cooked with fresh peppers with our special zesty sauce. Boneless cubes of chicken cooked in moderately seasoned cream sauce with nuts and saffron. 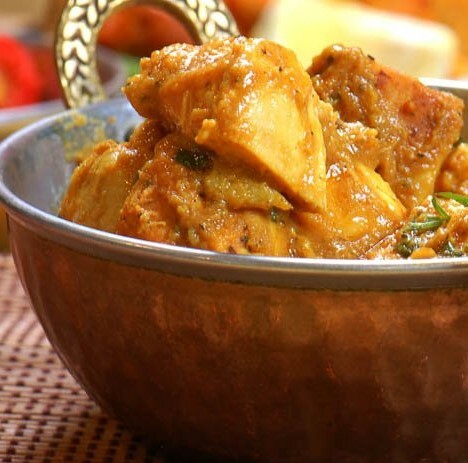 Boneless cubes of chicken cooked with fenugreek leaves in mild curry sauce. Boneless cubes of chicken cooked in mango sauce with mild seasoning and touch of scallion and ginger. 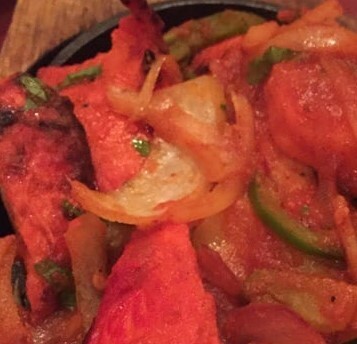 Cut pieces of chicken sautéed with special indian seasoning with fresh tomatoes, onions and green peppers. Chicken strips sautéed with garlic, ginger, onion and green peppers with chef’s special recipe. Chicken marinated with indian seasoning and saffron, then steam cooked with naturally fragrant long grain basmati rice served with raita. Boneless cubes of chicken with mild indian seasoning with fresh mushrooms, broccoli, tomatoes seasoned to your taste. Boneless cubes of chicken cooked with cauliflower or eggplant in moderately seasoned cream sauce with nuts and saffron. Roasted cubes of chicken and eggplant sautéed with fresh tomatoes, garlic, ginger, onion with cilantro. Boneless chicken with fresh tomatoes, sliced onion, green peppers with special zesty sauce. South indian traditionally hot boneless chicken cooked in highly spiced sauce. South indian traditionally hot boneless chicken cooked with coconut and tangy special sauce. Cubes of boneless chicken cooked in yogurt curried sauce with a touch of seasoning and herbs the way you like. Lamb cooked with distinctive ingredients and grilled. Tender pieces of lamb cooked and sautéed with deliciously spiced creamed spinach and herbs. Another south india favorite! highly spiced lamb cooked in a tangy hot sauce. Classic mughali dish; succulent pieces of curried meat cooked with basmati rice gently flavoured with saffron and nuts; served with raita sauce. Cubes of tender lamb sautéed with fresh sliced vegetables simmered with special sauce. Lamb all lean meat cooked with fresh mushrooms or eggplant in punjabi style with our chef special sauce. Another favorite of kings; all lean meat, lamb cooked in cream and almond sauce, rich and mild. Another north indian favorite; tender cubes of lamb cooked in aromatic and delightful fenugreek and fresh spinach. Tender pieces of lamb cooked in mango sauce with touch or ginger, herb and scallions. Lean pieces of lamb cooked in a authentic spicy indian herbal sauce; a delight spicy food lovers. All lean meat lamb cooked in wok with fresh cut okra with garlic, ginger, onion, bell peppers with sprinkle of cilantro. Diced lamb sautéed in a wok with onion, peppers, tomatoes, ginger, garlic and herbs. Clay oven lamb tossed in a deliciously zesty sauce. Chicken tikka masala, lamb masala, bread, one dessert, rice, one vegetable and veg curry. Shrimp, scallop and chicken, marinated with indian seasoning and saffron, then steam cooked with naturally fragrant long grain basmati rice served with raita. Shrimp sautéed with mild indian seasoning with fresh mushroom, broccoli and tomatoes. 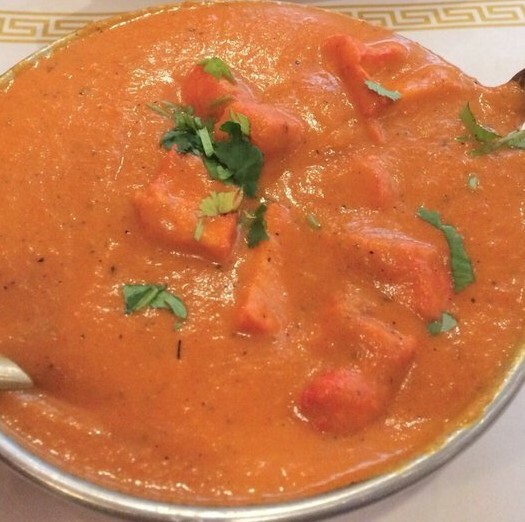 Traditionally south indian specialty shrimp, scallop and fresh sermon in highly spiced sauce. Shrimp cooked with lightly creamed spinach and sautéed with ginger, garlic, herb and light spices. Fillet of boneless fresh salmon cooked in south indian special sauce traditionally served hot. Shrimp cooked in moderately seasoned cream sauce with nuts and saffron. Shrimp or scallop cooked in mango sauce with mild seasoning and touch of scallion and ginger. Shrimp or scallop tossed in special zesty with tomatoes, sliced onion, green peppers and herbs. Shrimp and scallop sautéed in wok with fresh tomatoes, green peppers, ginger, garlic, onion and cilantro. 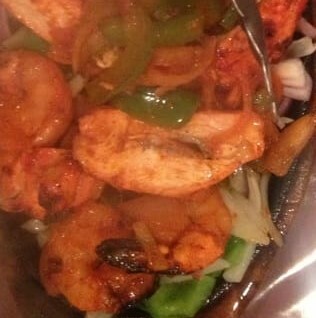 Tandoori shrimp or fish tossed in special zesty sauce with tomatoes, sliced onion, green peppers and herbs. All entrees are served with papad, basmati rice, and mint-chutney. Vegan; garbanzo beans and spinach cooked in light cream with onion, tomatoes, garlic, ginger, fenugreek and mildly spiced. Vegan; fresh eggplant and potatoes sautéed with tomatoes, garlic, ginger and onion with touch herbs and spices. Diced potatoes and garbanzo beans cooked in popular punjabi style. Vegan; fresh cut eggplant and zucchini sautéed with mild indian seasoning and touch of herbs. 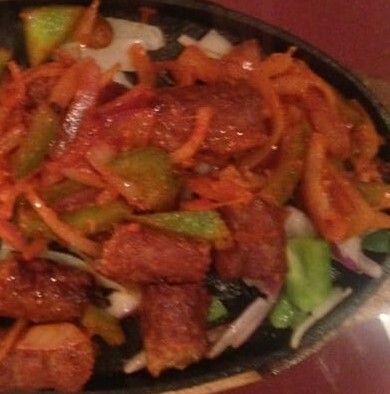 Vegan; south indian traditionally hot fresh vegetable cooked in medium spiced sauce. Vegan; fresh cut mushroom or potatoes and green peas sautéed with tomatoes, onion, garlic, ginger in elga: seasoning sauce touch of herb. Fresh eggplant or cauliflower cooked in moderately seasoned cream sauce with nuts and saffron. Fresh vegetables cooked with saffron and light seasoning and naturally fragrant long grain basmati rice and nuts served with raita. 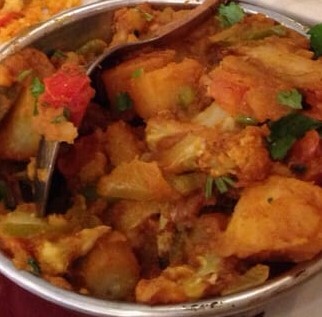 Vegan; spinach cooked with potatoes or mixed vegetables in mildly spiced sauce with touch spices and herbs. Vegan; potatoes and fresh cauliflower sautéed with onions. tomatoes, ginger, spiced. Whole black or yellow split lentil sautéed garlic and fresh tomatoes. Vegan; cut okra sautéed with onion, tomatoes and green peppers and ginger; mildly spiced. Green peas and indian cheese sautéed with tomatoes, onion, garlic, ginger in light seasoning sauce touch of heitas. Fresh nine garden vegetables cooked moderately seasoned cream sauce with nuts and saffron. Vegan; fresh vegetable cooked in mango sauce with touch of herbs with scallion, ginger light seasoning. Vegetable cheese balls cooked with mild zesty sauce with a touch of cream and nuts. Indian cheese sautéed with special indian seasoning with fresh tomatoes, onions and green peppers. Eggplant baked in our clay oven then mashed and sautéed with garlic, ginger, tomatoes, onions with light seasoning. Diced mushroom and broccoli sautéed with onion, tomatoes, green peppers and ginger mildly spiced. Indian cheese sautéed with garlic, ginger, onion and green peppers with chef’s special recipe. Freshly baked in clay oven whole wheat bread. 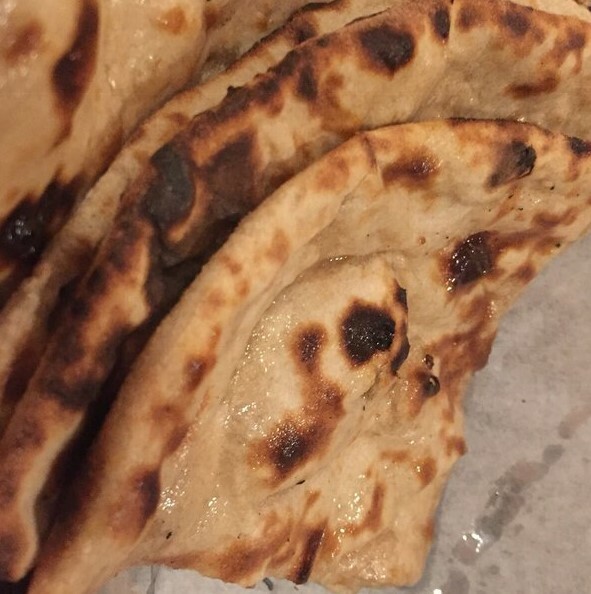 Traditional / punjabi battered white bread baked in clay oven. Multi layered whole wheat buttered flaky bread baked in clay oven. Multi layered with fenugreek and buttered flaky whole wheat bread. Bread filled with coconut, almonds, cherries and raisins and baked in our special clay oven served with raita sauce. White bread filled with onion and fenugreek or homemade cheese with mild spiced and herbs. 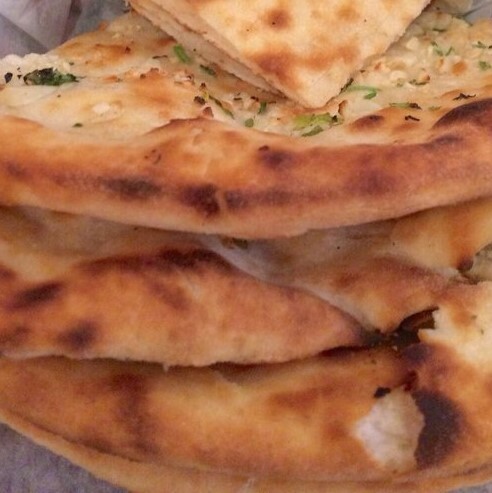 Assortment bread from clay oven garlic naan, roti and naan. Mango, pineapple, orange and cranberry. A refreshing yogurt drink served chilled sweet or plain. 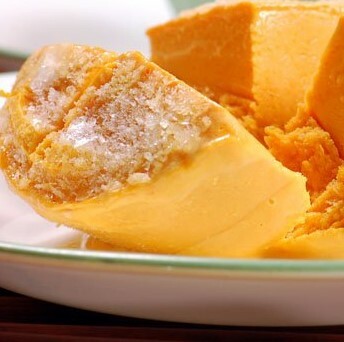 Homemade mango flavoured indian ice cream. 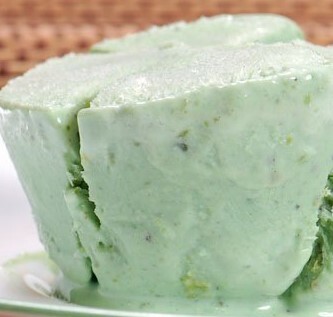 Indian homemade ice cream with pistachios, almonds and rose water. Firni indian style custard with fresh fruit. Light cheese morsels dipped in cinnamon flavoured syrup. Indian style pudding garnished with nuts, raisins and rose water.